A music single and video featuring a Queen’s Nurse has been launched to help raise awareness of mental health in the farming community. 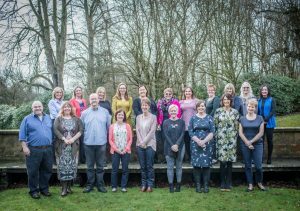 Scotland’s Farmers and Farmers’ Wives choir, of which community psychiatric nurse Kelvin Frew is a member, have recorded their version of the Ward Thomas song Carry You Home. 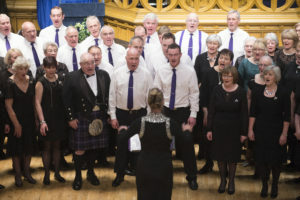 The choir is comprised of 80 women and 25 men from farming groups across Scotland, inluding Dumfries and Galloway, Ayrshire, Lanarkshire, Perthshire and Campbeltown. 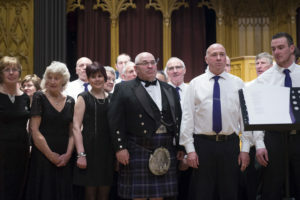 Conducted by music teacher and farmer’s wife Kate Picken, from Kirkcudbright, they get together to rehearse in Lanark at various points throughout the year timed around the farming calendar. Kate said: “We are so lucky to have had such amazing people on board to get us to where we are today – it’s been a great team effort. 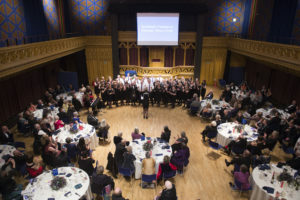 The choir first publicly performed the song in December last year at the Queen’s Nursing Institute Scotland (QNIS) awards ceremony in Edinburgh. The event saw 20 community nurses, including Kelvin, awarded with the title of Queen’s Nurse after they completed a nine-month development programme. The occasion was the first time the title was presented for almost 50 years. 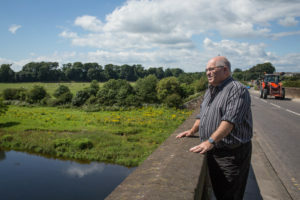 Kelvin, who is team leader of the NHS Dumfries & Galloway Crisis, Assessment and Treatment Service, said: “While the video and single was driven by the aim of raising awareness of mental health issues in the farming community, the message in the song is for everyone who struggles with mental health issues or knows somebody who is struggling. Kelvin credits his involvement in the Queen’s Nurse programme as prompting the initial discussions in the choir about how to raise awareness but he says it was the enthusiasm of choir leader Kate which really allowed the single to come to life.